The English Department of the University of Connecticut at Storrs has presented this annual poetry reading and student poetry contest since 1964. 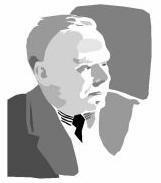 The Hartford Financial Services Group donates the funds to support this series in memory of Wallace Stevens, their colleague and friend. Beginning with Carolyn Forche's reading in 1996, the program has been presented in early April at both UConn's Storrs campus and at a venue in the city of Hartford. The Friends & Enemies of Wallace Stevens help to organize and to promote the Hartford reading. Contact English Department at UConn for additional information.